Bhatta Falls is a beautiful natural waterfall located in Mussoorie of Dehradun district. This waterfall is situated on the Mussoorie-Dehradun road, about 7 km from Mussoorie in Bhatta village. This is a beautiful picnic spot, where people can also enjoy the activities performed in the water. The water of this waterfall falls below the height of about 30 feet. 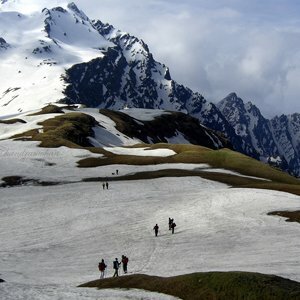 It is a beautiful place to enjoy the tourists because tourists can come to this place and capture the picturesque scenes of nature in the camera. Although the mainstream of this waterfall is full of algae, fresh water is will get in the pond near the waterfall. The tourists come here and enjoy a bath in the pond. Bhatta Falls attracts tourists from its natural beauty. During the journey to Mussoorie, tourists go to near this beautiful waterfall. 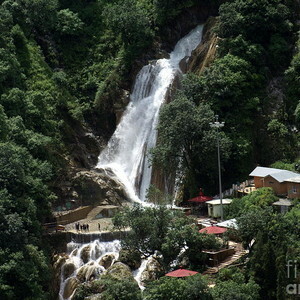 Bhatta Falls is one of the main tourist destinations of Mussoorie. 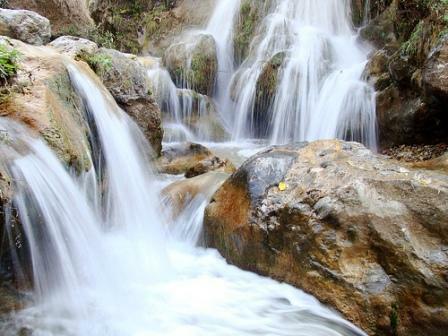 Bhatta Falls is located in Bhatta village, about 7 km away from Mussoorie.